Vigilance is the key to identifying the telltale signs of termite problems in and around your home. 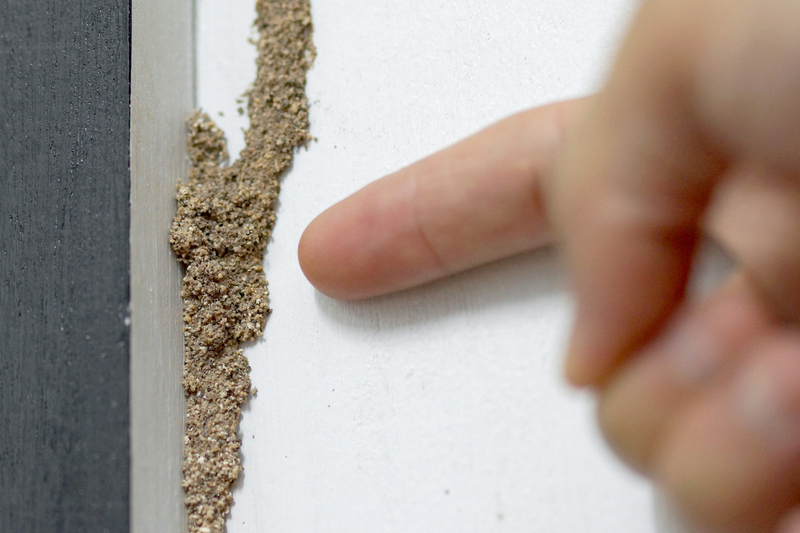 As one of the most resilient pests that Arizona homeowners may face, termites can find ways inside your property where they can hide and remain undetected. The subterranean termite is the most common species that plagues Arizona. This species is roughly 3/8” in length. You can recognize the subterranean termite due to its pale yellowish brown body and rectangular head, with a body that is flat. They come up in search of cellulose, in the wood products in your home, to feed on. 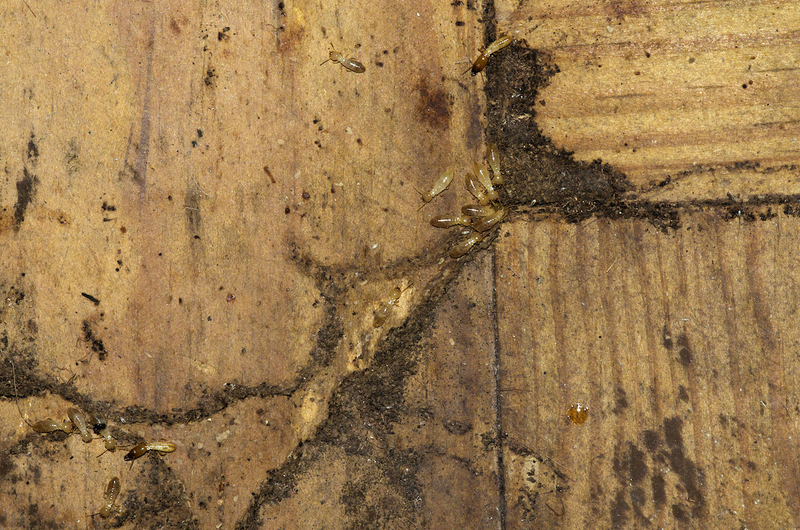 Subterranean termites flourish in the Arizona desert. They usually swarm during Monsoon season and after heavy rains. This species of termite commonly builds mud tubes that are small, strong, and airtight. Because they are small, they are able to invade and nest in compact spaces, like cracks in your foundation. 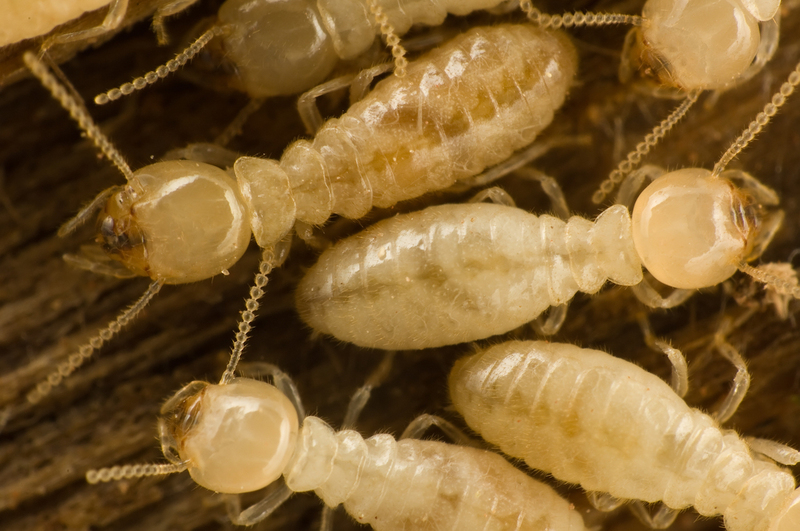 The drywood termite is also a potential threat to your home. In fact, this species of termite is responsible for families having to leave their homes during tented treatment. By building their colonies inside wooden structures, drywood termites can very quickly compromise the integrity of a building. You can prevent termites with a number of treatments, depending on your needs. At Affordable Pest Control, we take an individualized approach towards termite prevention and treatment. There are a number of conducive conditions and environments for termites. By taking steps to eliminate the following, you could prevent a termite infestation. Address any leaks that provide easy access to moisture. Hose bibs, condensation lines, and any standing water. If there are puddles or areas in your landscape where water collects, fix those areas to help keep termites away. Eliminate any wood to soil contact. Be sure that wood, including fences and trellises, don’t have direct contact with the soil and your home. Improve the grading around your home. By sloping ground away from your house, you can prevent water from pooling around the foundation. Be sure that vegetation, including trees, shrubs, and vines, are not growing too close to your home. This can promote moisture build up, attract termites, inhibits termite inspections, and contributes to wood decay. Repair any cracks in your foundation. These don’t show up on a termite inspection report, but they welcome intruders into your home. Wood debris and mulch should be kept away from your foundation. If mulch is touching your foundation or stucco siding, pull it back and keep it between 2-3 inches in thickness. Mulch and wood debris are termite favorites because they offer a food source and are often moist. It’s best to keep your property free of wood debris, including firewood, stumps, landscape timbers, and even old cardboard and newspaper. Always have an active termite barrier. Certain treatments can last for several years, providing you with long-lasting protection from subterranean termites. Homes are typically pre-treated when they are built, but as homes age, they need to be re-treated with an active barrier. If you are ready to have your home inspected and re-treated, please contact Affordable Pest Control for your free, no obligation estimate. Do not store cardboard boxes in your garage and keep them from laying on the floor. This eliminates one of their food sources. 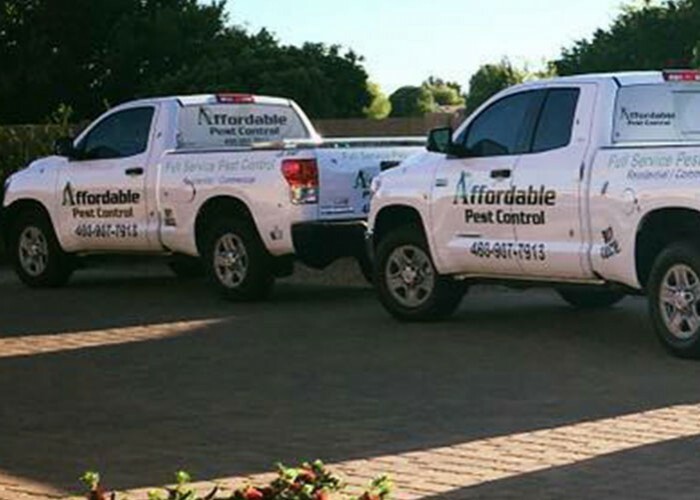 Affordable Pest Control provides tailored termite treatment services to customers in San Tan Valley and surrounding East Valley communities including Gilbert, Chandler, Mesa, and Queen Creek, AZ. We are a local company that is firmly committed to providing homeowners with effective treatment solutions to prevent or eliminate infestations. Affordable Pest Control can offer fast and cost-effective treatment services. Reach out to Affordable Pest Control if you need a reliable pest control company in Arizona. We are passionate about helping you protect your home from termites and other pests.